Dawson City, Yukon, is home of the Klondike Gold Rush and the heart of Tr’ondëk Hwëch’in Traditional Territory; we’re proud of our mining heritage and First Nations roots that run millennia deep. We’re a thriving cultural community—with a post-secondary arts school, several world-renowned festivals, and burgeoning TV and film industry—that borders an outdoor playground sprawling hundreds of kilometres in either direction. We’re a living historic community, with many landscape features and buildings that support our national historic site designation. Mining, tourism, culture, and our people are the foundation on which our town stands, and we respect personal freedoms and diversity of all definitions. We’re a welcoming town and a great place to make a life and raise a family. Our community has a new hospital and programming and activities that promote healthy lifestyles. We have a recreation centre, curling club, swimming pool, fitness centre, nine-hole golf course, off-leash dog park, and a ski hill. We enjoy an abundance of green spaces, including hiking, biking, and cross-country-ski trails. We also have a K–12 school, Yukon College campus, healthy business community, and numerous groups and organizations in which to get involved. Reporting to the CAO, the Chief Financial Officer is accountable for the overall financial affairs of the City of Dawson and for the leadership and administration of all divisions within the Finance and Administration Department, which includes finance, client services, human resources, taxation & assessment, and information technology. The Chief Financial Officer is a key member of the senior management team that provides leadership and advice to the CAO and elected officials in the establishment of strategic objectives and delivery of municipal services with a focus on fostering a positive work culture. This position is responsible for carrying out pertinent statutory requirements under the Municipal Act, and for providing support to all departments with budgeting, internal financial controls, financial reporting, personnel administration, and risk management. The successful candidate will develop and implement policies; assume the responsibility for the effectiveness of key financial resources and programs, investments, account reconciliations and internal audit; plan, organize and supervise budget preparation and implementation; prepare year-end working papers for auditors; and other related and assigned duties. If this position interests you, please submit your resume and covering letter clearly demonstrating the qualifications outlined below, as selection for further consideration will be based solely on the information you provide. Knowledge of Diamond/Great Plaines software would be an asset. Applicants able to demonstrate an equivalent combination of education and experience may be considered. Salary range of $91,651 - $109,781, plus benefits, in accordance with the Management Employment Bylaw. 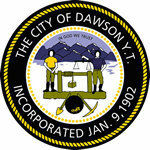 The City of Dawson thanks all applicants for their interest. Only those applicants who qualify for an interview will be contacted.